The last thing you want to worry about on race day is where to put your car or bike. Luckily, there's plenty of options. Parking at Navy Pier is available to all Bank of America Shamrock Shuffle 8K Health & Fitness Expo attendees. Upon arrival at the Navy Pier entrance, follow the directions of traffic personnel for the most convenient parking options. A free Bank of America Shamrock Shuffle 8K Health & Fitness Expo trolley will run from the CTA “L” stop at State & Lake (Red, Brown, Purple, Orange, Green and Pink Line trains) to Navy Pier during the following hours: Friday, March 28, 10 a.m. – 8 p.m., and Saturday, March 29, 9 a.m. – 6 p.m. 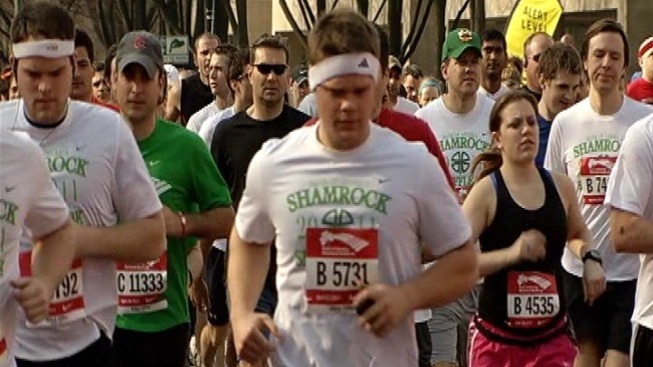 The Bank of America Shamrock Shuffle 8K Health & Fitness Expo will offer a complimentary bike valet. To access the bike valet, travel east along the north side of Navy Pier to the Entrance 2 turnaround, just west of the Grand Ballroom. Space is available on a first-come, first-served basis so please bring your own bike lock in case the bike valet is full. For a map to bike valet, click here. Friday, March 28, 9:30 a.m. – 8 p.m. Saturday, March 29, 8:30 a.m. – 6 p.m.
Go green and Divvy to the Bank of America Shamrock Shuffle 8K Health & Fitness Expo. Divvy Ambassadors will be at the Streeter Dr. and Illinois St. station on Friday, March 28 from 10 a.m. to 8 p.m. and Saturday, March 29 from 9 a.m. to 6 p.m.